Mark Dombroski mystery death: Missing Saint Joseph’s University found dead during Bermuda rugby trip in unknown circumstances. Cause of death not revealed. 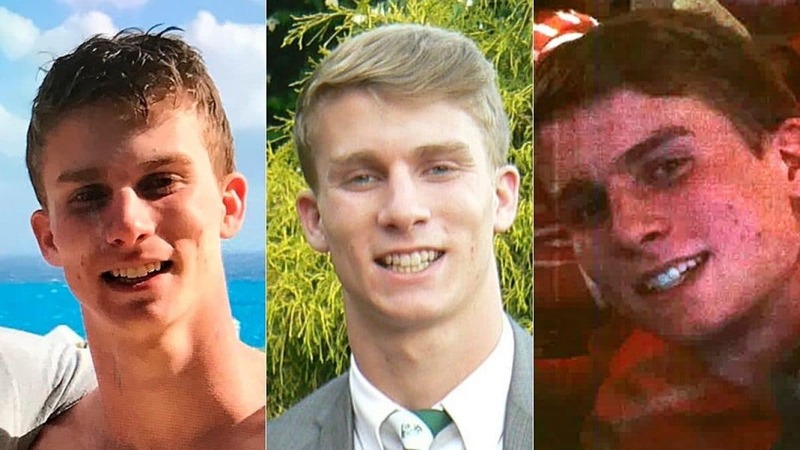 Bermuda authorities have revealed that a Philadelphia, Pennsylvania college student who was reported having gone missing over the weekend while on a rugby playing trip having being found dead. A Bermuda police spokesman told AP that authorities found a body in their search for 19-year-old Mark Dombroski, Sunday night. Police did not reveal a cause of death. ‘The search [for Dombroski] unfortunately has come to end end,’ a spokesperson said Monday afternoon, according to The Royal Gazette. Dombroski was on the island on a rugby tour with Saint Joseph’s University, where he was part of a team competing in the the Ariel Re Bermuda International 7’s Tournament. The Media, Pennsylvania teen was last seen at The Dog House bar with fellow teen members around midnight in the Hamilton section of Bermuda, the Bermuda Police Service stated in a news release. He was supposed to leave the island on Sunday with the rest of the team, but was not on the return flight. Mark Dombroski mystery death. The Saint Joseph’s University college student pictured with his team, left and at the bar he was last seen alive just on midnight, Saturday night. Mark Dombroski mystery death: Where was he heading at the time of his disappearance? Police on Monday said that government surveillance cameras recorded him walking east away from the bar where he’d been with the team. Police said that alcohol was not believed to have played a role in the student’s disappearance. WCAU-TV cited authorities saying Dombroski being observed walking alone down a road at around 1:15 a.m., using his cellphone. It wasn’t clear where the youth had been heading and who he may have been talking to at the time. It did not appear Dombroski made it to where he was staying, police said, as he was walking in the opposite direction of the team’s housing. Police stressed that Dombroski was not intoxicated at the time of his disappearance. Authorities and Dombroski’s family had been searching a wooded area of the island territory known as The Arboretum, which was near a sports center where Dombroski competed. 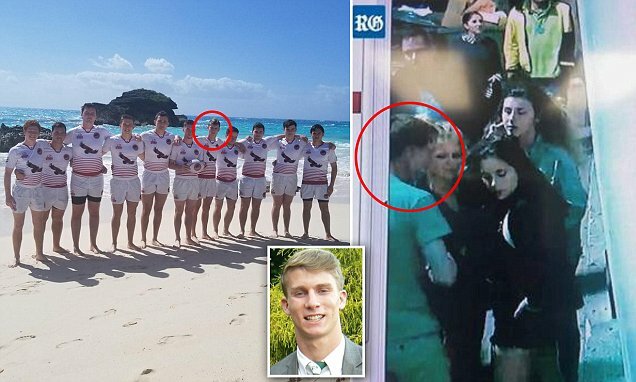 Tragically announcement of the teen’s death came just hours after the rugby player’s mother pleaded for his safe return in a press conference. Dombroski, who is 6-feet tall with close-cut blonde hair, was last seen around midnight on Sunday wearing a green T-shirt, khaki pants and black shoes. Archmere Academy in Claymont, Delaware, said in a tweet he was a 2017 graduate.